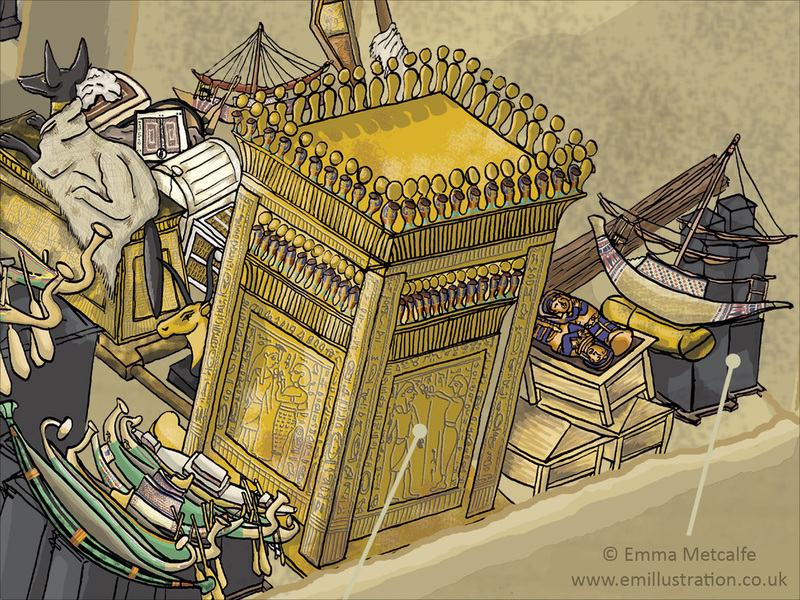 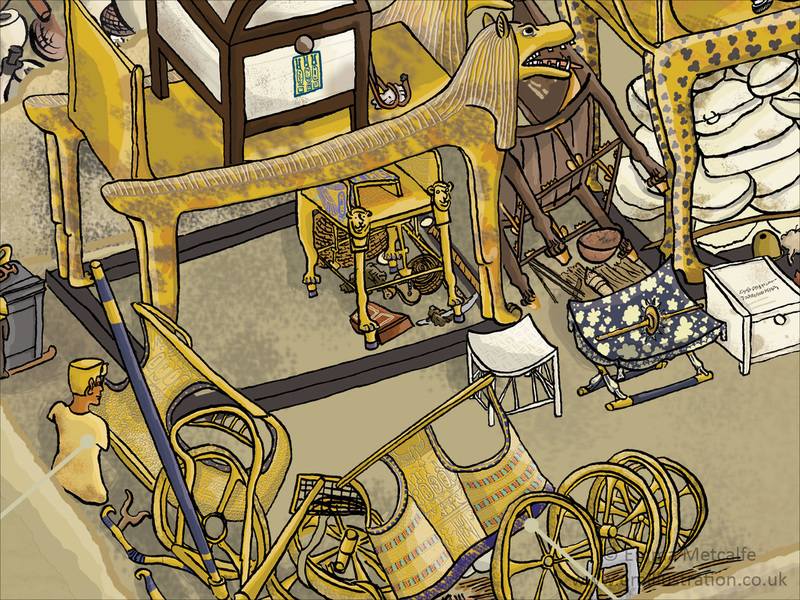 This is illustrator Emma Metcalfe's illustrated reconstruction of the tomb of the ancient Egyptian king Tutankhamun which Emma researched, designed and illustrated. 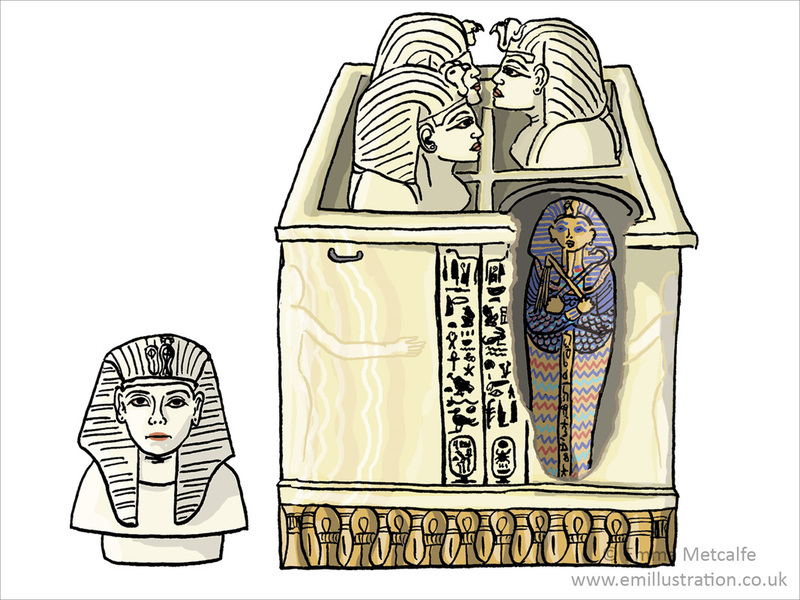 It shows the tomb as it was at the time of its discovery by Howard Carter and Lord Carnarvon in 1922. 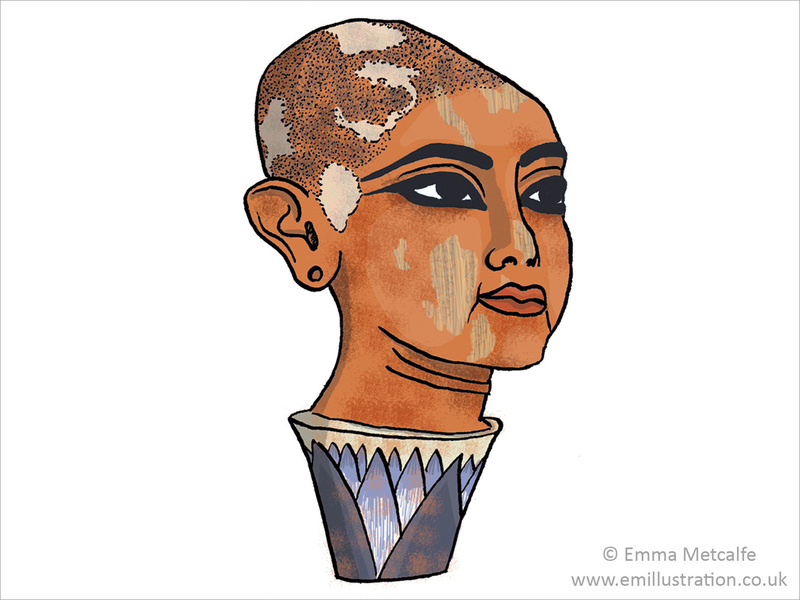 ​ARTWORK AVAILABLE TO LICENSE - PLEASE CONTACT EMMA WITH DETAILS OF YOUR REQUIREMENTS. 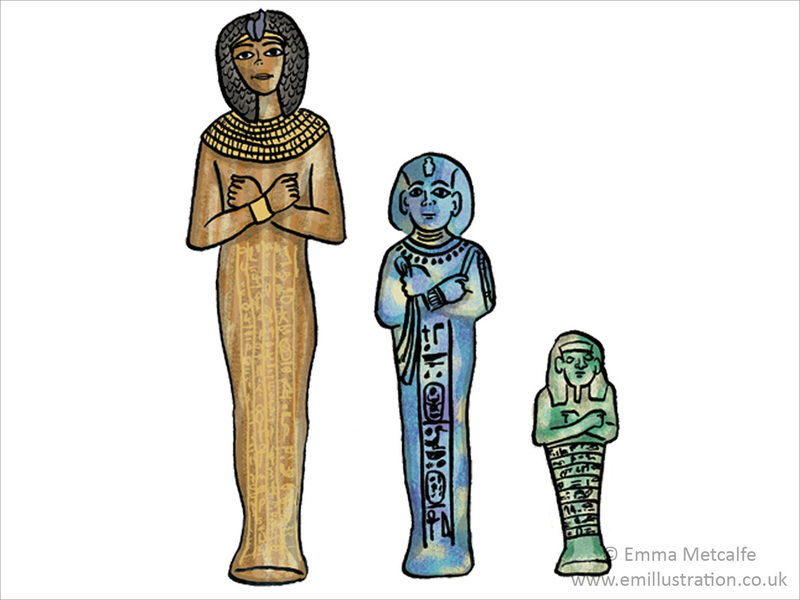 Emma aimed to create an educational illustration which didn't just label each part of the tomb, but which showed all the artefacts in their correct places too. 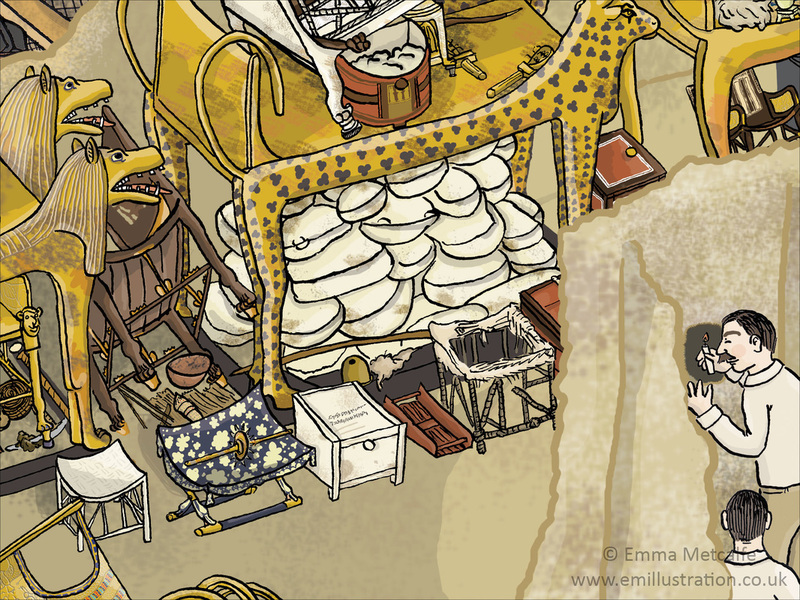 She was also keen that it was atmospheric, enticing and illustrative, rather than just a straightforward plan. 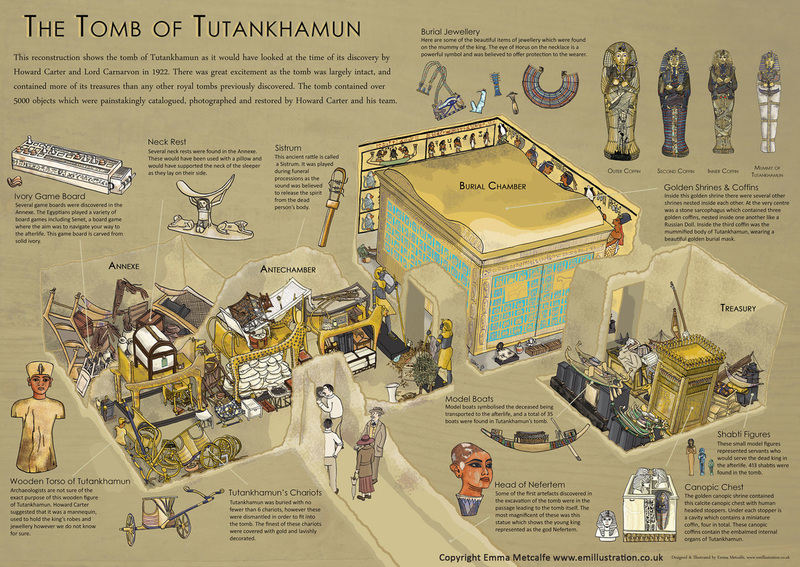 The online archives of the Griffith Institute at the University of Oxford proved to be an invaluable resource in trying to visualise and recreate what the tomb would have been like. 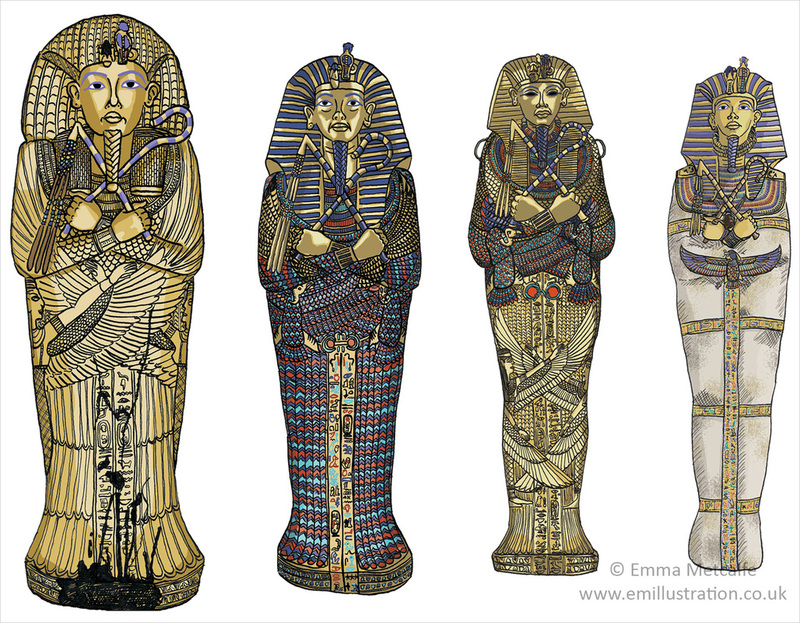 Their website is well worth a visit and is a fantastic resource; you can see Harry Burton's original photographs of the tomb and artefacts, as well as reading Carter's notes on each object. 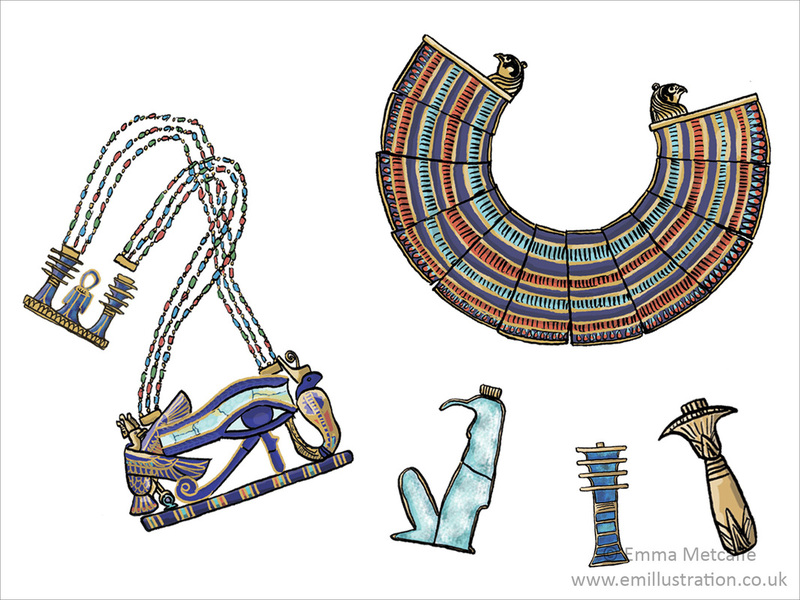 ​Emma has also used these Egyptian illustrations as a basis for her Egypt range of souvenir products.